Explore those hidden sites locals reserve for visiting friends, discovering secret histories and traditions you’d never hear otherwise. We’ll take you on a whirlwind adventure through Rome and further afield for a half-day tour you won’t forget. 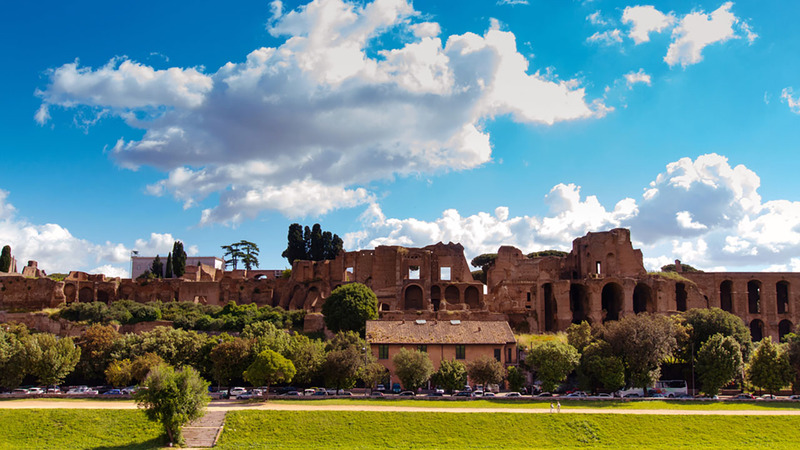 Discover an unexpected side of Rome at the Jewish Ghetto and so-called ‘Jewish Colosseum’; walk a section of the ancient Roman Appian Way; see the Aqueducts; witness the best panoramic views in Rome (including the Janiculum Hill where if you are lucky you will get to see the daily cannon fire) & much more! 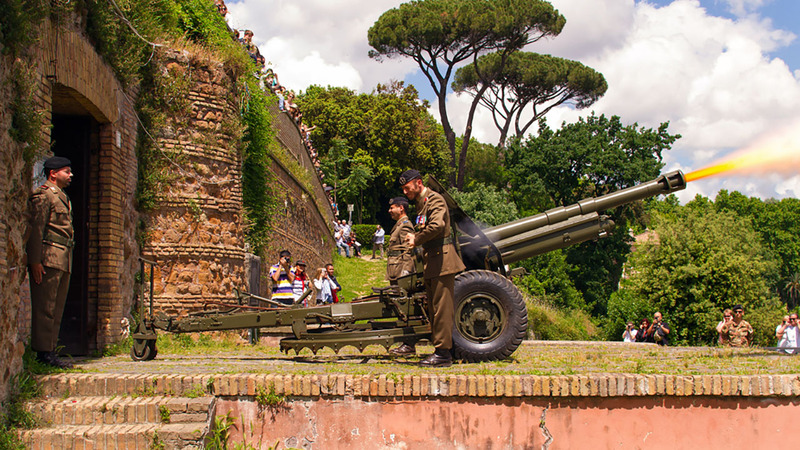 We have a lot of land to cover, from the almost-rural Appian Way to the top of Janiculum Hill, so we’ve arranged for the most comfortable, air-con transport in Rome. We’ve kept groups small (15 or fewer) so your experience is intimate & you’ll be led by an expert local. The Rome driving tour starts in a fascinating little corner of Rome usually ignored by visitors – the Jewish Ghetto. We'll walk through the Ghetto on foot and learn in fascinating history. You'll also see the Teatro Marcello (a.k.a. “The Jewish Colosseum”), an authentic hidden gem of ancient Roman architecture, and get restaurant recommendations from your local guide. This driving tour covers a lot of ground, so for your next stop you'll hop in a private, air-conditioned minibus and head out to Ancient Rome’s greatest thoroughfare – the Appian Way (a.k.a. Via Appia Antica). This ancient road is where Spartacus and 6,000 of his followers were crucified, where war veterans lined up to pay homage to Emperor Augustus, and where St. Peter had a vision of Christ as he left Rome in 64 A.D. You’ll go for a relaxing stroll on this peaceful road (which still retains many of its original paving stones!) hearing stories like that behind the fortress-like mausoleum of Cecilia Metella, an enormous tomb built for a Roman noblewoman in the 1st century B.C. Our next stop is the Park of the Aqueducts where some of the original stone structures that brought water into the city have been beautifully preserved. After taking a chance to walk along the aqueducts, snapping those perfect pictures, you’ll head to the overlook of an ancient site that put all that water to good use: the Baths of Caracalla. These 3rd-century baths included an Olympic-sized swimming pool and could hold more than 1,600 people at a time. We won't tell you all of the sights you’ll visit on this driving because that will ruin the surprise – but we do promise to surprise you more than once during your time with us. 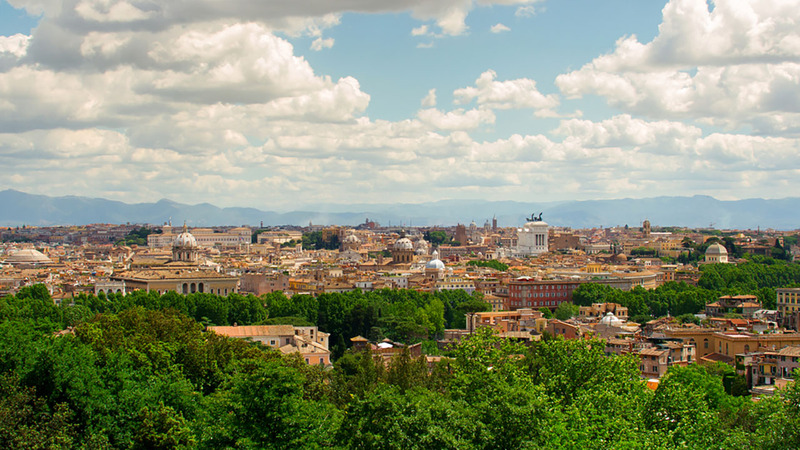 One site we will guarantee, however, is Janiculum Hill, where you will enjoy the best view of Rome. Perhaps the most satisfying part of this Rome driving tour is the peace and quiet you’ll find at so many of the sights and the knowledge that you’re traveling further and seeing more than the average visitor. These sights aren’t known to most travelers and are difficult to access by public transport – which is where we can help. On this exclusive exploration, you’ll enjoy a private vehicle with a group size of just 15 people or fewer, a driver and a separate tour guide who will bring the sights to life for you as you travel, with stories and local legends. So if you want to see the “real Rome,” and its true off-the-beaten-path gems, in comfort and with a local insider, take a walk (or a drive) with us! 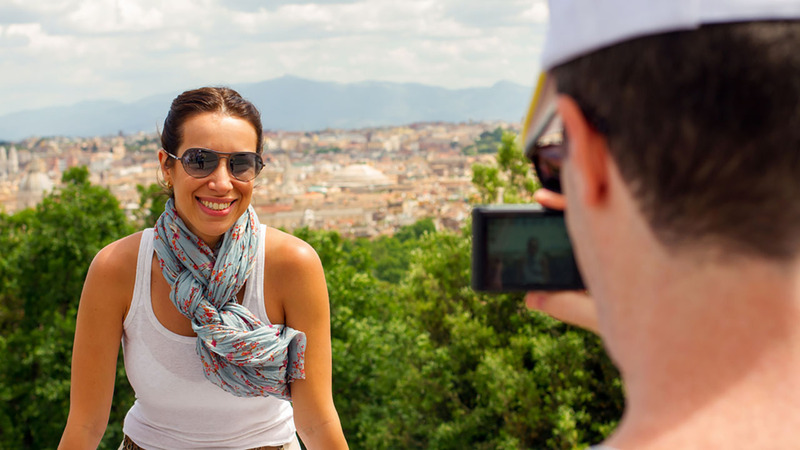 We’d love to share our city with you, introducing you to Rome as a local. Andreaâ€™s presentation on the Jewish Ghetto was the highlight. Our day was overcast, but it was hugely worth it thanks to Andreaâ€™s knowledge and personality. It was a very well organized tour from reservation right up to the tour. Our guide Francesca was informative cheerful and had a lovely sense of humor. I was especially thankful for her her reference to â€œwomen in social servicesâ€ as our 11 year old didnâ€™t understand that part at all :)) We had four children from 2 to 11 and for them, the walks were interesting, the explanations concise and they had a good time. We didnâ€™t have a stroller but could have been done with, so this tour we would recommend to families with small children too. Thank you very much for a well timed tour - it was informative fun and although we saw a lot we didnâ€™t feel rushed at any point. Julia was exceptional!! What a knowledgeable and fascinating person and guide. We give her 5 Stars! She was Awesome. Everything went off very well. Francesca made the tour very lively and interesting. Thoroughly enjoyed it. Will definitely recommend to others. Thea Julia was an amazing guide. Her knowledge of history, especially art history took a good tour and made it an exceptional and memorable experience. This was a late addition to our week in Rome. Our group of four all agreed this was one of the high points and a great way to close out our last day in the Eternal City. Unfortunately our vehicles are not wheelchair accessible. Please contact our Customer Service team to discuss a suitable alternative. Most vehicles will not have additional space for strollers. If you are traveling with an infant, please contact our Customer Service team before booking.